It was nowhere and suddenly it is everywhere. Perhaps you've noticed it too. 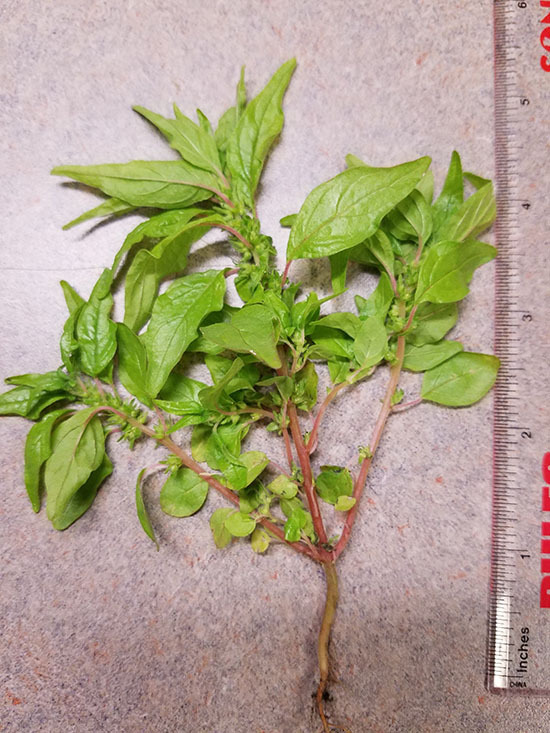 I was unfamiliar with this weed until about two years ago when a groundskeeper inquired about it saying that it was all over campus in the landscape beds. Sure enough it was. We were both stumped as to what it was and thus turned to the INHS botanists for assistance. Only one of my typical go to weed ID reference books include this weed, Weeds of the Nebraska and the Great Plains, yet this plant can be found across the country. Pellitory (Parietaria pensylvanica), or Pennsylvania Pellitory as it is also known, is typically thought of as being a woodland plant that forms colonies. Another name for this plant is Up Against the Wall Weed because it is known to grow in the cracks of walls. I've seen it growing happily out and up the sides of a straw bale garden. The hint of cucumber smell has resulted in some calling it Cucumber Weed. 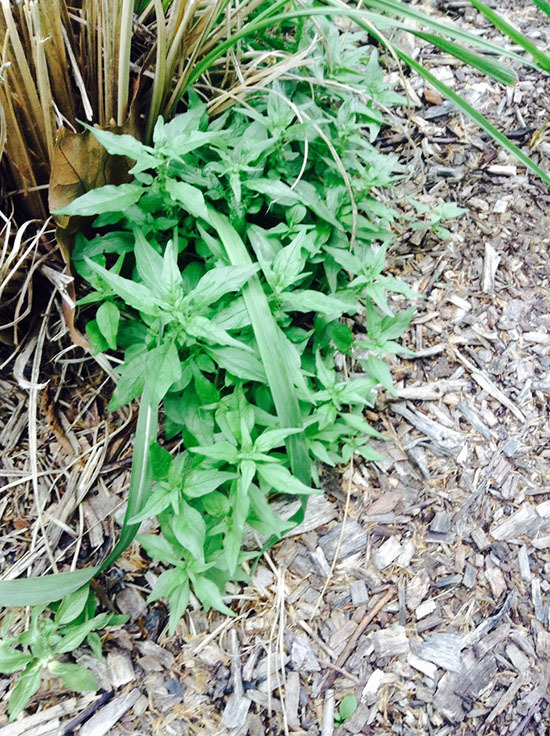 Some describe this weed as being sticky or adherent to the skin, thus the nickname "Sticky-weed". There are a few species of Parietaria, however, which are similar in appearance. Pellitory is in the nettle family, Urticaceae, but lacks stinging hairs. It grows 6 to 18 inches tall with a central, unbranched, 4-angled stem. Leaves are alternate and lanceolate. Both leaves and stems are pubescent. Flowers occur on the stem, are green with no petals, are seen in the summer, and last 2 to 3 months. Pennsylvania Pellitory is native and prefers light shade but will tolerate full sun. It is found in both natural and disturbed sites. Reproduction is by seed, which can be rampant. Therefore, in a landscape bed situation, preventing seed production is important for control. They can be pulled or hoed out easily.